SuperATV bumpers and brush guards give your machine an aggressive look while adding serious function. Precision engineered to compliment the contour of your RZR, this SuperATV sport brush guard provides ultimate protection for the front end of your machine. Crafted from proven off-road materials, the simple bolt-on design requires no drilling or welding for a hassle free installation. Whether you're tackling extreme obstacles or blazing the trails, you want a SuperATV sport front brush guard! 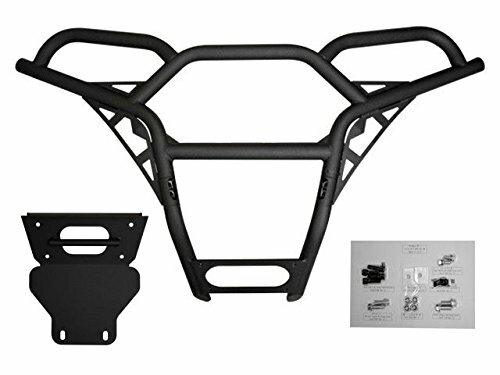 Heavy duty 38 mm carbon steel tube, 3 mm steel skid plate, Aggressive, stylish look compliments your RZR, Includes all mounting hardware and instructions, Powder coated for long lasting protection.